When it comes to windows, most people pay attention to the view outside rather than the window itself. But old and dreary windows can spoil even the most spectacular scenery. If your home’s windows are aging, inefficient or dated, it may be time for an upgrade. Here are five things to consider if you’re trying to decide between replacing your windows or simply repairing them. 1. Can My Windows Be Repaired? In some cases, it may be possible to repair old windows to make them more energy-efficient. However, many older homes have wood windows that are prone to rot and decay. Water is the chief enemy of any homeowner, as moisture can cause significant damage before you’re even aware that it has penetrated your home’s structure. Furthermore, repairing a single pane window won’t give you the ease of operation or insulting benefits of a modern double pane window. Do your windows have cracked or broken glass? Panes can be replaced, so you might get away with a repair versus total replacement. Does a window have rotting or split muntins? (The muntin is the vertical piece of wood that separates individual panes of glass.) This could be a sign of moisture damage that’s more extensive than you might see without opening the walls around the window. Are the upper or lower sashes stuck? In some cases, you can fix this by removing old layers of paint. In other cases, the windows should be replaced to ensure ease of operation. Is the exterior trim (the casing) loose, cracked or rotting? This could be a sign your home has a moisture problem that’s worth investigating more thoroughly. Are your windows missing the putty that holds the panes to the mutins? If the putty is brittle or missing entirely, it may be time to replace rather than repair. While any one of these factors could indicate the need for replacement windows, checking off more than one probably means you’re better off replacing rather than repairing. 2. What Is the Average Replacement Window Cost? As with any large home improvement, cost is a major factor. While the average replacement window cost depends on where you live, how many windows you’re replacing and what types of replacement windows you purchase, you can get an idea of the typical replacement window cost by looking at average figures across the country. The 2017 Cost vs. Value Report from Remodeling magazine shows that the national average for vinyl window replacement is $14,725, with a 73 percent return on investment (ROI). This figure is for the replacement of “10 existing 3-by-5 foot double-hung windows with insulated, low-E, simulated-divided-lite vinyl windows.” The average vinyl window replacement cost for the South Atlantic region of the country is the same, with a slight bump in ROI (74 percent). While averages are a good place to start, the true replacement window cost depends on the unique aspects of your property, as well as the type of windows you install. At Nu Look Home Design, we work with all types of budgets. Our window experts will help you select windows that complement your home and deliver the energy savings you’re looking for. 3. Does Caulking and Weather Stripping Work? Caulking and weather stripping can help improve a window’s energy efficiency, but only to a point. Air leaks can account for up to 30 to 40 percent of a home’s heating and cooling losses, so plugging gaps can help reduce lost heat and air. However, this only helps reduce heating and cooling loss around the frame. If the pane itself is old or thin, or the house has settled, causing the window to no longer fit properly, weather stripping won’t be much help. Weather stripping — which can be caulk, foam, felt, metal or vinyl — works by sealing the little cracks between the fixed and movable parts of the window. 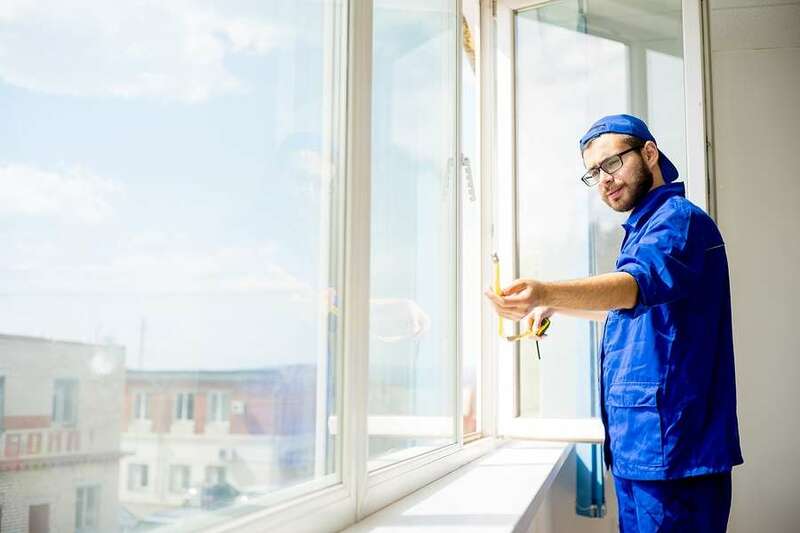 However, old windows that don’t properly fit the frame, as well as single pane windows that are inefficient and aging, probably won’t benefit from weather stripping. 4. What If I Live in an Historical Home? If you live in an historical property, you understandably want to preserve your home’s historical character. However, this sometimes just isn’t possible or practical. In some cases, old windows are too damaged to repair. In other situations, it’s impossible to find replacement hardware for a window made decades or even a century ago. Some homeowners ask us: What if I only need to replace one window? If you need to replace one or two windows, you may not be able to exactly match the replacements to your existing windows. In this situation, most homeowners choose to upgrade all of their historical home’s windows to modern replicas. In doing so, they preserve the aesthetics of their historical property while reaping the benefits of energy-efficient windows that are easy to operate and maintain. Keep in mind that you also have to live in your home. Homeowners regularly make concessions to modern life by upgrading plumbing and electrical systems, as well as installing workable kitchens and bathrooms in historical properties. For example, you may maintain an old coal chute in your home’s cellar, but chances are you’ve installed central heating. Or perhaps you kept your home’s vintage gaslight fixtures, but they are now wired for electricity. It’s also important to determine if your windows were installed before 1978. This year is significant, as it’s the year federal lawmakers banned the use of lead-based paint in homes. Lead-based paint is especially common in homes built before 1960, and it’s quite likely that homes dating from this period have layers of paint around the windows — some of which may contain lead. When lead paint flakes or dust is ingested, it can lead to serious health problems. The good news is that today’s window manufacturers make windows that mimic historical styles while delivering the energy savings of modern technology. Check out our windows gallery to view designs that complement a variety of architectural styles and periods. Some owners of historical properties choose to remove old windows and turn them into art installations or features inside the home. For example, you can install an old exterior window on an interior door. This honors and preserves the past while acknowledging that a home is a dwelling that must evolve and adapt to new generations of inhabitants. 5. What Are the Advantages of New Windows? Easier Operation – Besides looking great, new windows are incredibly easy to operate. If you’ve spent years avoiding opening your windows because you don’t want to wrestle them up and down, you’ll finally get to enjoy spring breezes and crisp fall air inside your home again. No More Condensation – When homeowners ask us about replacing their windows, one of their most common complaints is the condensation that forms on the inside of their old windows. When it builds up, this moisture can drip down into casements and even make its way inside a home’s walls. New windows are energy efficient, and they stop condensation from forming on the inside or between panes. Easy Maintenance – Today’s windows are so easy to operate, you’ll want to clean them. Double hung windows slide down and tilt inward for hassle-free maintenance you can do entirely from the inside and all year round. Curb Appeal – Obviously, one of the main advantages of new windows is the beauty they add to your home. Replacing your windows is one of the most cost-effective ways to remodel. You can totally transform the look of your home by replacing your windows. If your windows are in bad shape, or you’d like to boost your home’s curb appeal, new windows can dramatically enhance the look of your home — and save you money on heating and cooling bills. Learn what new windows can do for your property by calling Nu Look Home Design today. Get in touch at (800) 279-5300 or email us at info@nlhd.com.